YEREVAN, MARCH 16, ARMENPRESS. 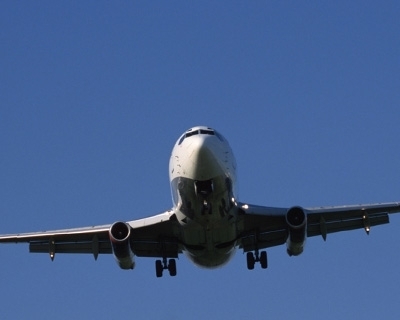 The official circles of Azerbaijan are worried and angry with the fact that they failed to undermine the operation of Van-Yerevan direct flights between Turkey and Armenia. 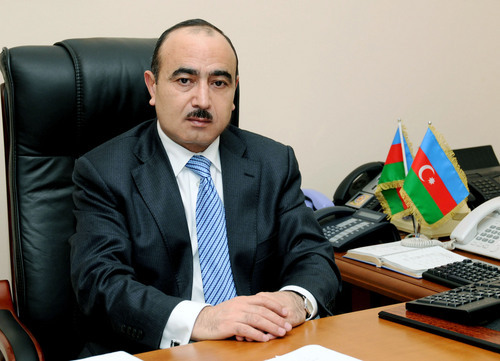 As reports "Armenpress" citing Azerbaijani media, the head of public-political affairs department of Azerbaijani president’s staff Ali Hasanov, referring to the operation of the flights stated: "Thus Ankara supports a country which continues the occupation of Azerbaijani lands." Also Hasanov did not conceal the concern of official Baku that "brother country Turkey is establishing relations with Armenia". Among other things he noted: "We treat it with double jealousy, when those countries, with which we have fraternal and strategic relations, deepen tiess with Armenia." Van-Yerevan-Van direct flights will be implemented from April 3, 2013. Twice in a week the flights will be implemented from Yerevan to Van and in the opposite direction. The flights become reality due to "Narekavank" Travel Agency and the Union of Manufacturers and Businessmen (Employers) of Armenia. Azerbaijan accuses Turkey of supporting Armenia. “Azerbaijan has stated on many occasions that we approach sensitively to any contact with Armenia and Nagorno Karabakh, particularly when these contacts are made by friendly countries,” Ali Hasanov, Head of the Department on Social Political Issues of the Azerbaijani Presidential Administration, said, commenting on the commencing of Yerevan-Van flights, APA reports. According to him, official Baku views such contact as support and strengthening to Armenia. “We are twice as jealous when it is done by countries we share strategic interests with. It is not only our opinion, but also that of the Turkish society,” he said. Ali Hasanov noted that recently when the issue on opening of borders between Turkey and Armenia was raised, it did not find support among the Turkish society, the political parties and the Turkish government. “We assess the opening of Yerevan-Van flight as a certain level of support to Armenia,” he said. Turkish government has something to do with the idea. elections was also a very unpleasant surprise for Azerbaijan. Azerbaijani presidential staff have expressed the same opinion. nothing to do with the official position of the Turkish cabinet. position of Turkey on the Nagorno-Karabakh conflict and Armenia. Baku as an aggressor country. other sights in and around Van. journey that it currently involves. "This flight has nothing to do with politics, this is pure tourism. expectations are that the flights will sell well. Karabakh war waged against ethnic Armenians. Baku about a possible Turkish-Armenian normalization. and removal of the current blockade of Armenia's communications. diplomatic steps towards rapprochement," said the political analyst. TURKEY FACING ILHAM ALIYEV'S "RIGHTEOUS ANGER"? Yerevan-Van flights, the latters not matching Ankara's official stance. with Baku for fear of the "righteous anger" of Ilham Aliyev. trust towards Turkey's policy line. Turkish-Armenian rapprochement while "Azeri lands remain occupied." on Social Political Issues Ali Hasanov said. need trying to trick Azerbaijan," he said. cause of concern for he latter. And the "countless oil-brought riches"
thought prompts him to continue dictating conditions. they actually make Ankara sick. Tour, Turkish Borajet Airline and Ayanis Travel Agency, based in Van. representatives of U.S. embassy and EU mission in Armenia present. to be priced at $250, with a 20% discount offered for April flights. where Karabakh settlement is concerned," the expert said.